Ford has announced a very limited production run for the 2015 Shelby GT350 to celebrate the 50th anniversary of the original GT350. Since its first launch in the year 1965, the GT350 has established its performance pedigree across muscle car enthusiasts across the world. And so will the new one, as it gets the most powerful naturally aspirated production engine made by Ford ever. Even the limited number of 100 units has been broken into two categories. 50 cars will get the Technology Package and the other 50 will come equipped with the Track Package. 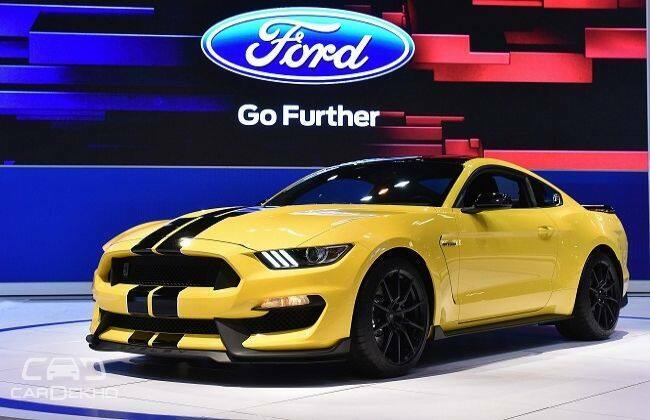 And there is even better news from Shelby; a very short run of 37 units of the Shelby GT350R will be made by Ford. This model will celebrate Carroll Shelby’s FIA-homologated Mustang named the GT350 competition model. This was the race bred competition car from the company that performed at various race tracks around the world. It won the Sports Car Club of America’s B Production national championship in 1965, 1966 and 1967, and continued entering races throughout South America and Europe, including the 1967 24 Hours of Le Mans.